Andrea R. Gwosdow, Ph.D, President of Gwosdow Associates Science Consultants, LLC. Dr. Gwosdow is a skilled scientist with experience leading research teams in systems physiology, endocrinology, and immunology. She has expertise in animal, cellular and molecular biology; and data collection and analysis of laboratory samples. Dr. Gwosdow has led Gwosdow Associates since 1997. She is also a Lecturer at Harvard Medical School and a Senior Scientist in the Endocrine Unit at Massachusetts General Hospital (MGH). In addition to her laboratory expertise, Dr. Gwosdow have been actively involved in medical education through the Physiology course taught at Harvard Medical School. She is currently leading the Physiology of Aging seminar in the Harvard Multi-Campus Geriatric Medicine Fellow program. Dr. Gwosdow is an effective medical writer who has received the top awards from the New England Chapter of the American Medical Writers Association. She has worked around the world with a wide variety of organizations to improve their scientific communication skills. Her workshops highlighting the specifics of writing and publishing in the medical and scientific literature led to the publication of her recent book, The Complete Guide to Scientific Manuscript Writing. Dr. Gwosdow is known for her clear explanations of complex scientific principles to a variety of audiences at all levels. She has developed and managed an award-winning business/school partnership, a science communications company, and has published over 30 articles in peer-reviewed journals such as the American Journal of Physiology, Endocrinology, Advances in Physiology Education, and Science Scope. In the community, Dr. Gwosdow organizes and conducts science outreach. For the past 11 years she has partnered with the Boston Children’s Museum to co-lead Physiology Understanding (PhUn) day. Previous appointments include Research Scientist, Shriners Burns Institute; Visiting Assistant Fellow, John B. 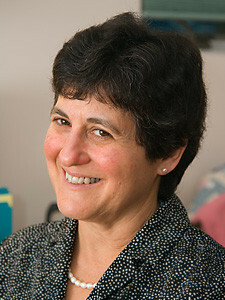 Pierce Foundation Laboratory and Yale University; Director of the MGH/Timilty Middle School Partnership; and Instructor at MGH’s Institute of Health Professions.